If you have not yet purchased a solar shower for your RV it is time. Once you have used one you wonder why you waited so long. Not only do you save on energy but also your holding tanks will not fill up as fast. 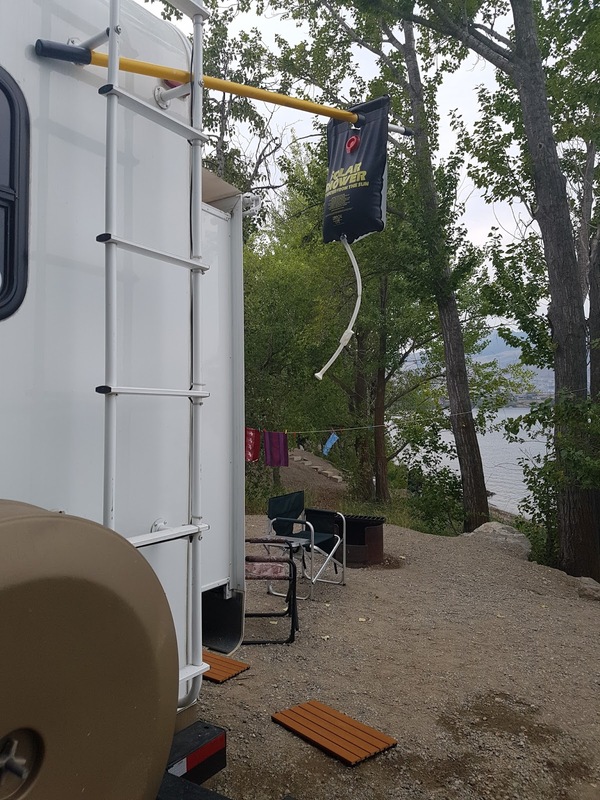 This is especially true when boondocking or camping in parks with limited services. Some people think that the water will not heat up fast enough. Worry no more, as long as you have a bit of sunshine the water keeps heating up. In full sunshine you will have warm water in 3 hours. The water can actually get to hot, so check first and if it is hot, just add some cold water. 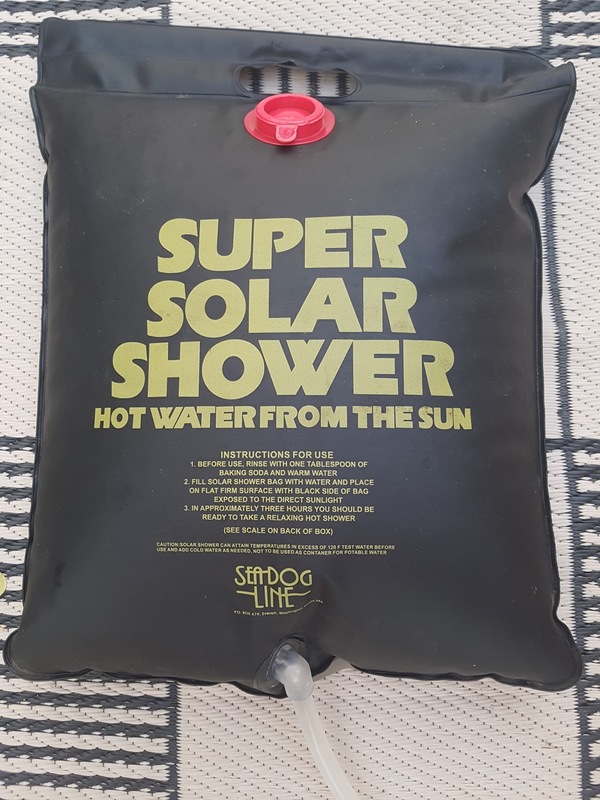 The Solar Showers are very affordable, starting at $10.00 (yes that's right, ten dollar) and go up from there. We have two, Super Solar Shower, one smaller, 2.5 gallon and one larger, 5 gallon. Water is heavy so keep that in mind. Five gallons weigh in around 40 lbs. You do not have to fill up the whole bag, but a larger bag is nice not to have so you don't have to refill all the time. A five gallon Solar Shower is enough for 3-4 showers. The smaller bag is also great for doing dishes and rinsing feet etc. Remaining tiles makes great stepping stones. 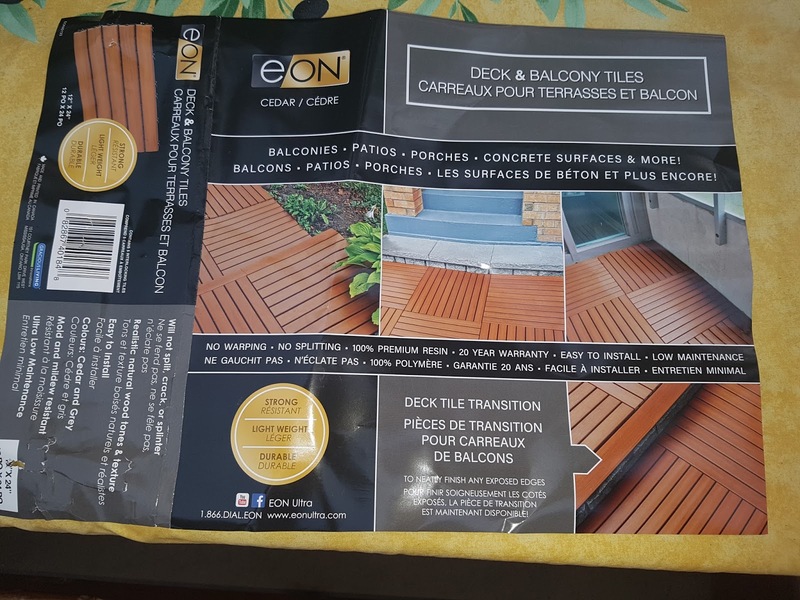 Now, it can get a bit messy where you are standing having your shower, so what we did, we went to Home Depot and got some Deck & Balcony Tiles. These plastic slotted tiles are 1 x 2 feet come in different colours. Five in a package. They interlock with each other and no tools required to put together. We put two of them together for a platform to stand on when having the shower. The other three tiles we use as stepping stones to get back to the out door carpet. 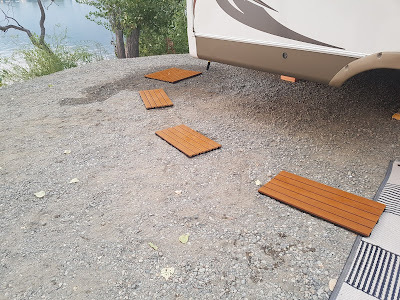 This keeps the dirt off your feet and out of the RV.